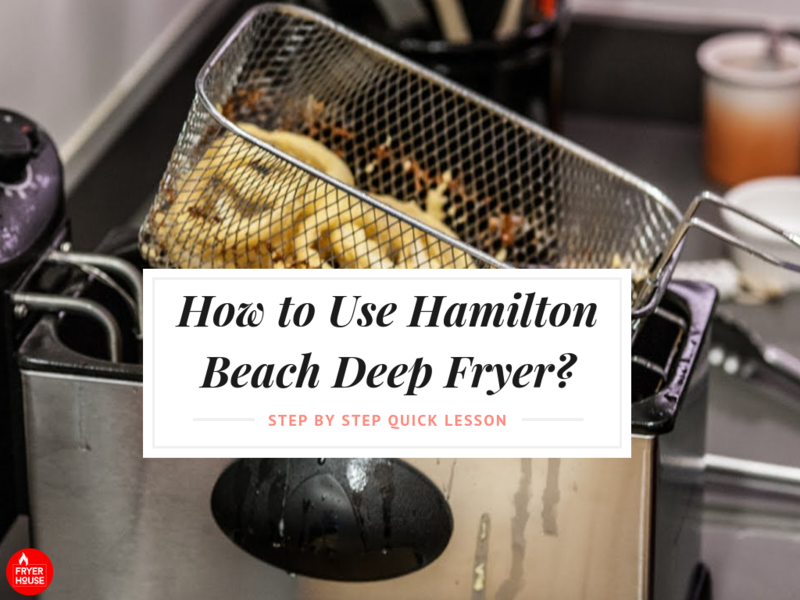 Lots of people want to know how to use Hamilton Beach deep fryer models because these deep fryers are good. They’re better than good, in fact. It’s a popular brand because their deep fryers are downright great. They offer a wide range of deep fryer models. The list starts with an 8-cup deep fryer for small batches, going all the way up to a large 21-cup model than can deal with a whole chicken. They’re all easy to clean and they all have features that minimize splatters to keep your kitchen pristine. Use high-quality peanut or vegetable oil for frying. You want high smoking points so you can achieve the high temperatures you want for your deep-fried dishes. Don’t mix your oils. You should only use one type of oil for each time. You also don’t mix new and used oil. Oils for frying should be in room temperature. This means you don’t use oil straight from the fridge. Even though you can reuse oil, it’s best if you change the oil regularly. The oil may absorb some of the flavor of the food it previously deep-fried, so it’s best if you’re reusing oil only if you’re also deep-frying the same food you did before. What to Do If Your Fired Food Isn’t Crispy? You can recheck your recipe to see if you get the temperature or the cooking time right. You may have overcrowded the fryer, so you may want to reduce the food you put in. Maybe you can cut down the food pieces into smaller bits, because these pieces are too large. Check that you’ve put in enough oil. What to Do in Case of Excessive Splattering? Check to see that you don’t exceed the maximum level line for your oil level. Place the food into the oil slowly and gently. Take the same amount of care when you take the food out. There may be too much liquid in the food. The food should be dried thoroughly first. Change the fry oil more frequently if you’re usually deep frying food with high moisture content. These include fries and chicken. Make sure you’re using the right oil that’s actually suited for deep frying. 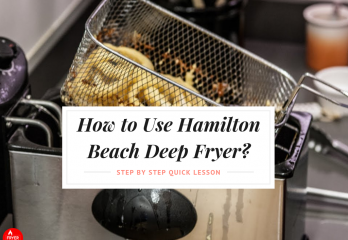 Follow these tips along with the instructions in your owner’s manual, and you’re good to go with your Hamilton Beach deep fryer.